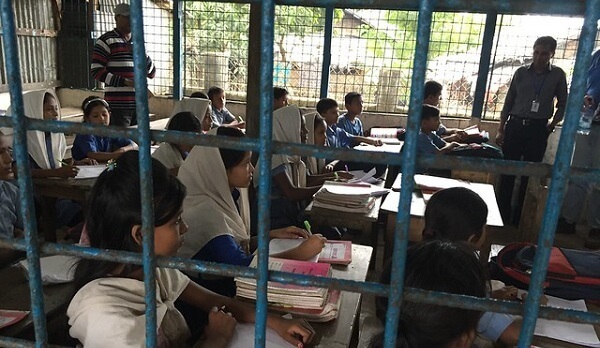 According to Human Rights Watch (HRW), Bangladeshi officials have ordered secondary schools near the refugee settlements in the Cox’s Bazar district to dismiss students with Rohingya background who lack Bangladeshi citizenship. HRW urges the Bangladeshi government to provide for the children’s’ basic right to education. A notice from January 23 by a Bangladeshi official responsible for refugee issues in Cox’s Bazar asks Bangladeshi secondary schools “to take strict measures so that no Rohingya children can attend any Bangladeshi educational institutions outside of the camps”. The order concerns students who were born in Bangladesh to parents who fled Myanmar in the 1990s. They are among the 34 000 registered refugees with Rohingya background living in camps in the Teknaf and Ukhiya sub-districts, in Cox’s Bazar. Their legal status is distinct from that of 740,000 Rohingya who have fled Myanmar since August 2017 and Bangladesh does not formally recognize them as refugees or allow them to access the mainstream education system. To allow their children to pass as Bangladeshi nationals and continue their education many parents bought Bangladeshi birth certificates or obtained other documents, Human Right Watch reports. A Human Rights Watch representative commented: “The Bangladeshi government’s policy of tracking down and expelling Rohingya refugee students instead of ensuring their right to education is misguided, tragic, and unlawful. […] Education is a basic human right. The solution to children feeling compelled to falsify their identities to go to secondary school isn’t to expel them but to let them get the education they deserve”.